It’s a WGRR “Spring Colors” Winners Weekend with a great pop of color for your yard. 103.5 WGRR paints the great hits blue, pink and yellow and fills your Easter basket with flowering shrubs from the Bloomin’ Garden Center and Landscape in Blue Ash. 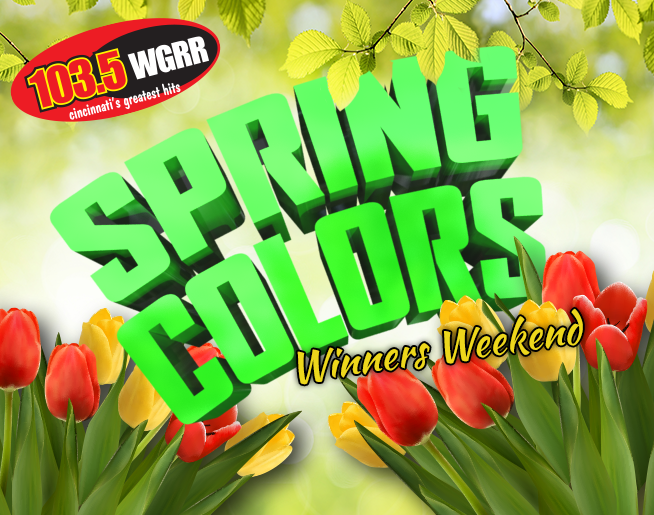 Get your Easter colors the easy way – a WGRR “Spring Colors” Winners Weekend from Cincinnati’s Greatest Hits, 103.5 WGRR.